David Patrishkoff is the President of E3, which is a training and consulting firm he founded in 2001. 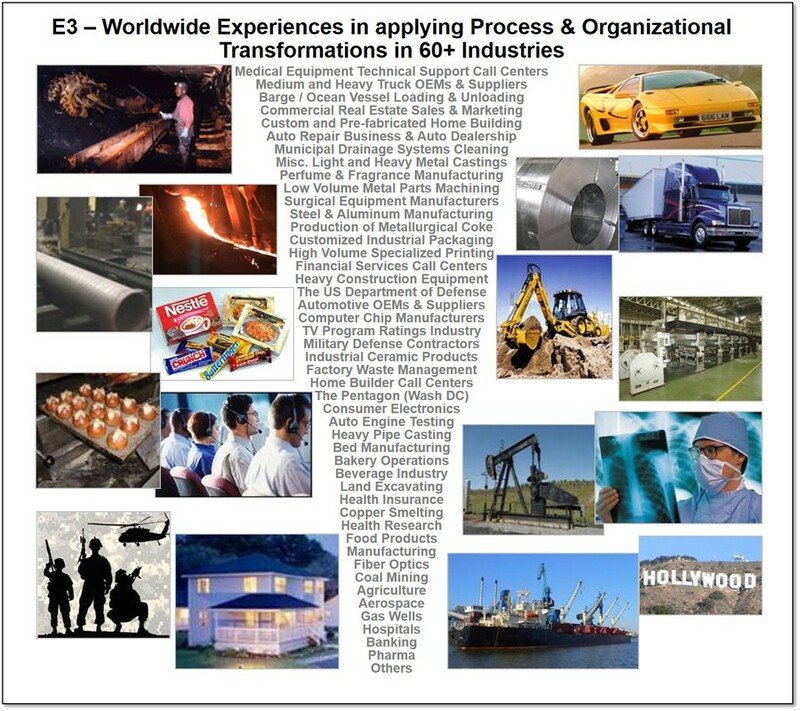 E3 is based in Orlando, Florida with working agreements with over 300 independent affiliated consultants and trainers, worldwide with combined experiences in over 60 different industries. Our affiliated consultants and trainers are highly experienced and well-known experts in their fields. In 2004, David Patrishkoff founded ICER (The Institute for Cascade Effect research) to continue the research he started to push the envelope of knowledge about the interactive factors that create Success or Failure Cascades. The Goal of ICER is to identify and transform Cascading Risks into Disruptive Innovations to greatly enhance the competitiveness of organizations. David is a Lean Six Sigma Master Black Belt and highly experienced senior executive with his own patent pending Cascading Risk & Best Practice Management Techniques. E3 has 5 core areas of expertise with documented successes and case studies, which are available for discussion upon request. David speaks German and is an Adjunct Professor for the Kettering University Graduate School where he teaches Lean, Six Sigma & Innovation related classes on-line with personal tele-coaching support. Dave has personally trained and certified over 3,000+ professionals in Lean and/or Six Sigma over the years and has trained an additional 10,000+ professionals in other advanced topics. In the past, he has also worked to provide specialized professional training and consulting through Wayne State University, Central Michigan University, The University of Central Florida and Penn State University. Dave has authored and copyrighted several articles on various topics including: Designing for Quality, Six Sigma, Lean Manufacturing, Risk Management, Cyber Security and Kaizen Event. He has also authored several training manuals and technical papers, Thought Leader Newsletter articles and lead articles in a QHSE-Lean Six Sigma magazine. He has held technical speeches at various international conferences sponsored by the SAE, SME, ASQ, ICIEOM and automotive safety council conferences. He also presented at the International Conference on Thinking (Bilbao, Spain) and at the Texas Safety Summit (Dallas, Texas). Dave earned a Bachelor’s degree and Master’s degree in Mechanical Engineering from the Cologne University of Applied Sciences in Germany, where he majored in Automotive Engineering. ​Learn more about David from his Linked In Page and follow him on Twitter.